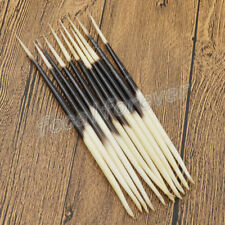 Material:Porcupine Quills. Your kind understanding and patience will be highly appreciated. We will reply you ASAP. Color:Black And White. The number varies depending on the size of the nuts. Maßeinheit 100 g.
A pretty colour mix of acrylic beads. 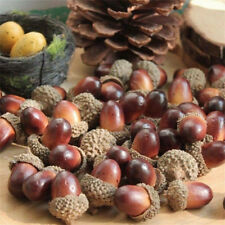 Beads in this mix range in size from 4mm to 27mm approx. Type Acrylic beads. Product Information. Supplied in screw top storagetubs of 213g. Great for school projects. Supplied onreels of 100m. Quantity 100m. Fuses & Circuit Breakers. 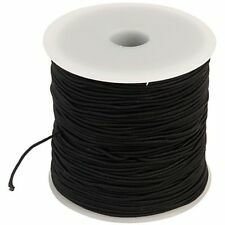 A reel of high quality black elastic. Network Cables. Type Elastic. Network Testers. Travel & Leisure. Big box-CM < span class = notranslate ' > 18.5 X < span class = notranslate ' > 13.5 X 5. Little box-CM < span class = notranslate ' > 15.5 X < span class = notranslate ' > 11.5 X 4. Four white plactic Easter eggs. Available in two sizes 11 and 16 cm. 11 cm long. You can however cancel your order and/or place a new one. When my order will be dispatched?. GSG COLOR DISTRIBUTION. You can retire in place. 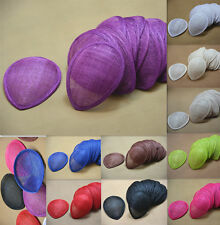 CUSTOM MADE, YOU CAN COLLECT YOUR MATERIAL DIRECTLY IN OUR. FOR ANY QUOTE OR TECHNICAL INFORMATION ABOUT OUR PRODUCTS. Wadding cm.50 x 150 - (to give a softer and "padded" effect to chores). CUSTOM MADE, YOU CAN COLLECT YOUR MATERIAL DIRECTLY IN OUR. You can retire in place. Mould - Embossed for Casting with Chalk Powder of Ceramic Ecc. 21 x 23 Angels. Important: the insertion photos represent the final product of the casting mould. WITH CHALK OR DUST. IDEAL < span class = "notranslate" > < span class = "notranslate" > for CASTING. Feather birds are so beautiful and realistic you won't believe that they are fake birds. This is a gorgeous birds with real feather's used in its body, wings and tail. Wire is attached to the birds legs. Hours < span class = notranslate ' > /9.00 < span class = notranslate ' > 13.00 < span class = "notranslate" > < span class = notranslate ' > 15.00/1 < span class = notranslate ' > 9.00. CORNAREDO (MI). GSG COLOR DISTRIBUTION. You can retire in place. CUSTOM MADE, YOU CAN COLLECT YOUR MATERIAL DIRECTLY IN OUR. These sympathetic mirrors are unbreakable and anti-splinter, N ACRYLIC MATERIAL to ensure maximum safety of the child. Ideal as a furnishing accessory for classrooms, bedrooms, gyms, laboratories. Set of 4 multi-effect mirrors, 30 cm x 40 assorted subjects. Ideal as a piece of furniture for classrooms, bedrooms, gyms, laboratories. the pickup location A: CORNAREDO (MI). setetewtteespecchio multieffect cm.37 x 46 assorted subjects. 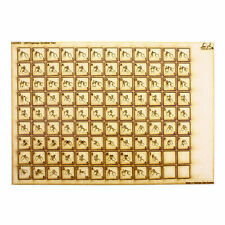 CUSTOM MADE, YOU CAN COLLECT YOUR MATERIAL DIRECTLY IN OUR. Fattura on request, it will run with a. GSG COLOR DISTRIBUTION. You can retire in place. CUSTOM MADE, YOU CAN COLLECT YOUR MATERIAL DIRECTLY IN OUR. FOR ANY QUOTE OR TECHNICAL INFORMATION ABOUT OUR PRODUCTS. 100 x White Braid Soft Rope Cut Pieces Job lot. Total approx 127 yards. 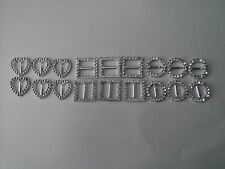 100 x white soft braid rope cut pieces. Approx 46 inches long; a total of approx 127 yards. For size see images (£1 coin not included). Fairfield-Poly Pellets Stuffing Beads This 100% polypropylene, weighted stuffing material adds the flexibility necessary to shape soft crafts into lifelike positions All pellets have a smooth edge with an oval contour to create a uniform fill This package contains 32oz of stuffing beads Made in USA. . Ideal as a piece of furniture for classrooms, bedrooms, gyms, laboratories. the pickup location A: CORNAREDO (MI). setetewtteespecchio multieffect cm.65 x85 assorted subjects. CUSTOM MADE, YOU CAN COLLECT YOUR MATERIAL DIRECTLY IN OUR. Feather birds are so beautiful and realistic you won't believe that they are fake birds. This is a gorgeous birds with real feather's used in its body, wings and tail. It has a small alligator clip on the base of the birds body and cute little gems attached to birds tail feathers. Feather birds are so beautiful and realistic you won't believe that they are fake birds. This is a gorgeous birds with real feather's used in its body, wings and tail. It has a small alligator clip on the base of the birds body. 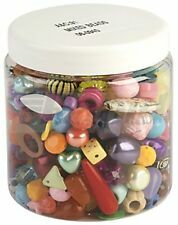 Plastic barrel beads mix. Pens & Correction. Gas Torches & Pipe Tools. 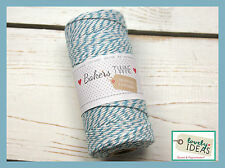 Craft & Education Supplies >. Craft & Education Supplies. Beads are 9mm x 5.5mm. Type Plastic beads. Supplied inpolybags of 500 pieces. Coloured plastic moving eyes with flat backs. Type Coloured eyes. Test Connectors. Test & Detection. Data Logging. Hand Tools. Work & Protective Clothing. Quantity 100. Quantity 70g. Network Cables. These acrylic gem stones are ideal for fashion design, making bracelets and hair accessories, collages, mosaic designs and stained glass work. Type Acrylic gem stones. Network Testers. Type Black and white eyes. Wiggle eyes add fun and character to any animal, people and monster designs. Test Connectors. Test & Detection. Data Logging. Hand Tools. Work & Protective Clothing. Quantity 100. Type Wooden beads. Supplied intubs of 200 beads. Earthtone beads in dark and light polished wood. Quantity 200. Computer Cable Assemblies. Building Supplies. Music & Drama. Maths, Humanities & PE. Small glass beads in assorted colours and sizes. Type Glass beads. Miniature Power Tools. Product Information. 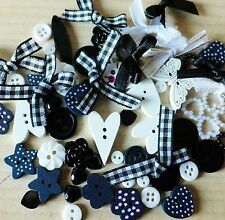 Ideal for bracelets and necklaces. Building Supplies. Music & Drama. Maths, Humanities & PE. You can retire in place. Also ideal as a base for various techniques: decoupage, gilding, pyrography. Decorated with every color and material. GSG COLOR DISTRIBUTION. Hours < span class = notranslate ' > /9.00 < span class = notranslate ' > 13.00 < span class = "notranslate" > < span class = notranslate ' > 15.00/1 < span class = notranslate ' > 9.00. The pickup location A CUSTOM MADE, YOU CAN COLLECT YOUR MATERIAL DIRECTLY IN OUR. FOR ANY QUOTE OR TECHNICAL INFORMATION ABOUT OUR PRODUCTS. Guests in a briefcase 1 plate 15x20 cm of copper anodised aluminum. 1 plate 15x20 cm of pure copper. 1 felt 15x20 cm. CORNAREDO (MI). CUSTOM MADE, YOU CAN COLLECT YOUR MATERIAL DIRECTLY IN OUR. You can retire in place. Priced per nest. Based on the New South Wales’ Central Coast, Feather is Australia’s largest supplier of feathers. Feathers are a natural product, with natural imperfections adding to their uniqueness.